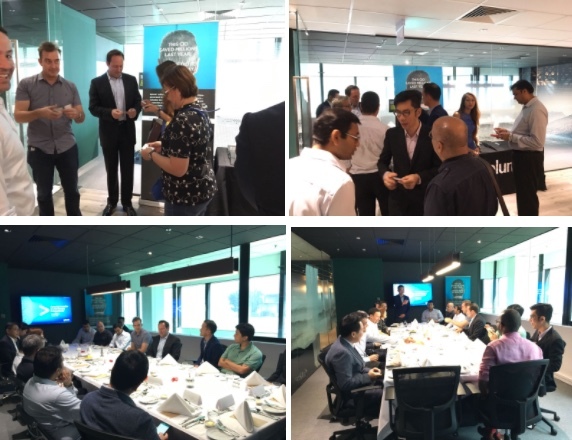 Singapore, 15 December 2016 – SFA organised an Executive Roundtable Luncheon with Senior Executives from Splunk, a machine data analytics provider at the lovely LATTICE80. Topic was on corporate innovation where Splunk CEO, Doug Meritt, shared his innovation journey and challenges in innovating a S$10b market cap tech company. ← Singapore Fintech Association is officially launched at LATTICE80!